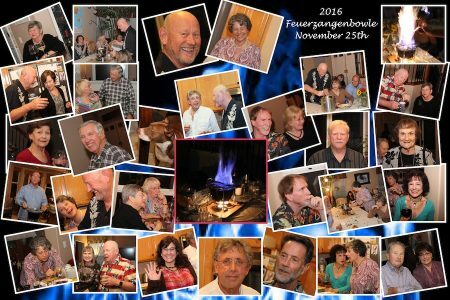 Hans and Kerstin have again invited us to their beautiful home to celebrate the Christmas season with a Feuerzangenbowle. This is our fourth year of celebrating the day after Thanksgiving with the Thedens and friends and it is always a great affair. Join the fun! We headed home and watched some Star Trek and talked about the evening all the way home. This entry was posted in Food and Wine, Friends, Holidays and tagged Christmas, Friends. Bookmark the permalink.